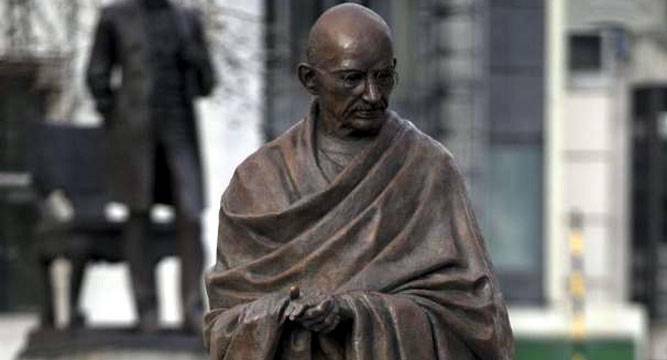 “Some unknown miscreants wrote objectionable and threatening messages on a Gandhi statue at Mojmabad in Dudu area. Efforts are being taken to ascertain the identity of the accused,” D C Jain, IG, Jaipur said. Messages written with paint on a statue of Mahatma Gandhi warning of possible ISIS attacks on the Republic Day created panic in Dudu area of Jaipur district today with police saying that efforts are on to ascertain the identity of the people behind it. Additional SP Dudu Sanjay Kumar said the message was written on the back of the statue with paint threatening devastation on January 26. “ISIS name was also written along with the message. Locals spotted the statue and informed the police,” he said. “An FIR has been lodged and the matter is being probed,” he added.